are a pair of colliding spiral galaxies about 80,000,000 light-years distant, and were discovered by John Herschel in 1835. The larger spiral, NGC 2207 above, is classified as an intermediate spiral exhibiting a weak inner ring structure around the central bar. The smaller companion, IC 2163 below, is classified as a barred spiral that also exhibits a weak inner ring and an elongated arm at bottom-left that is being stretched by tidal forces from the larger companion. 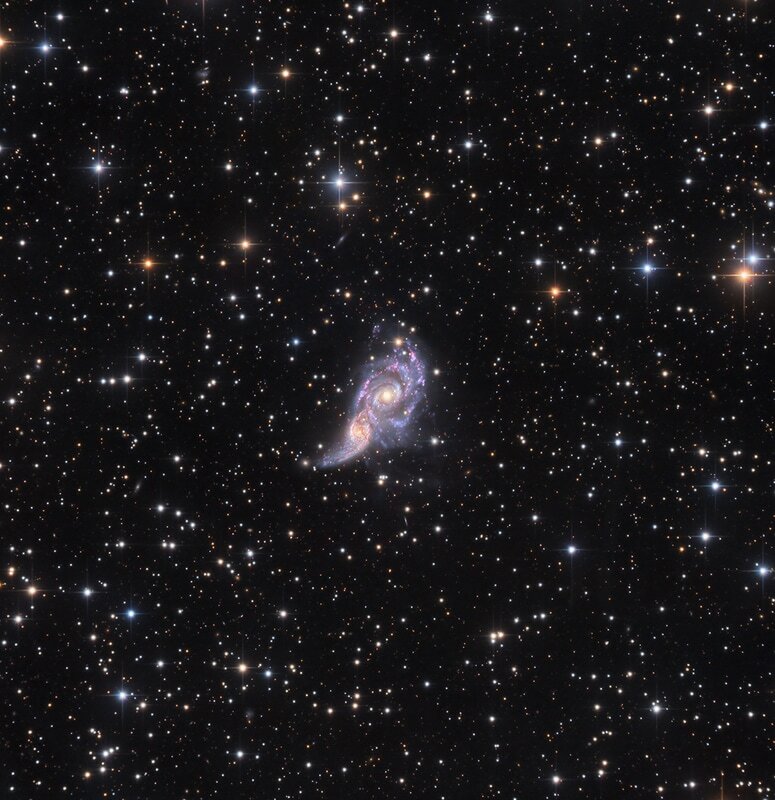 Both galaxies contain a vast amount of dust and gas, and are beginning to exhibit enhanced rates of star formation. This data was acquired by SSRO in 2017.